The Zipato Zipabox 2 is the latest automation and security hub for the Zipato automation and security system. This modular smart hub offers customizable control over various devices that use different communication protocols through add-on expansion modules and your smartphone. The Zipabox 2 acts as a nexus between the Internet, your smart devices, and the various communication technologies to command your smart devices through simple, modular customization. As a modular controller, the Zipabox 2 is easily customized with snap-on expansion modules. Out of the box, the Zipabox 2 supports Z-Wave Plus, Wi-Fi, and Bluetooth connected devices. Additional expansion modules can be purchased to support other communication protocols, such as ZigBee, Serial, KNX, EnOcean, 3G/4G and more. Other add-on modules provide backup power capabilities and increased memory storage to support more automation or security devices. 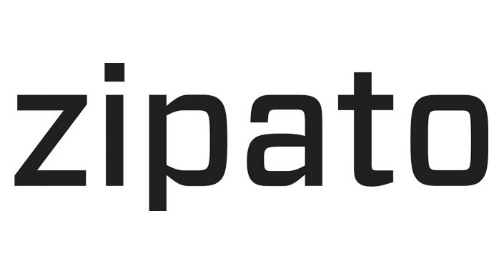 The Zipato Zipabox 2 receives programming information from the Zipato web portal through your Internet router and uses wireless radio (RF) technologies, such as WiFi or Z-Wave, to communicate with your connected devices. The Zipato Rule Creator web portal is free to access and requires no subscription fees. You will use the web portal to log in online to configure your devices, monitor your home's security, and review energy consumption of metered devices. You'll also be able to set up multiple users with different access rights, review home event history, set up email and text alerts, and customize your system by adding or removing devices. The web portal can be accessed through any web browser, as well as a free smartphone app. The app is available to download for iOS and Android mobile devices, providing convenient remote control for your home. Through the web portal, you can access the Zipato Rule Creator, an online intuitive graphical programming tool that lets you add devices or change settings whenever you want from anywhere in the world. Just log into your account to make changes. No software installation or programming skills are required! NOTE: Requires a broadband Internet router and active Internet service.